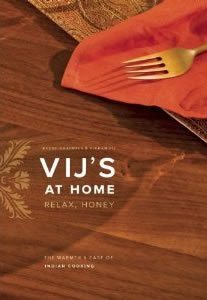 D&M Publishers senior editor Lucy Kenward has won the 2010 Tom Fairley Award for Editorial Excellence for her work on Vij’s at Home: Relax, Honey by Meeru Dhalwala and Vikram Vij. Established in 1983, the annual award is presented by the Editors’ Association of Canada in commemoration of the important yet unobservable work of professional editors. The announcement was made last week at a banquet in Vancouver. From substantive and stylistic editing to recipe testing, Kenward’s work on Vij’s at Home and its precursor, Vij’s: Elegant and Inspired Indian Cuisine, have helped both titles garner honours in Canada and abroad. The award shortlist also included Kelowna-based editor Arlene Prunkl for Brain School: Stories of Children with Learning Disabilities by Howard Eaton (Glia Press), and Edmonton’s Christine Wiesenthal for The Collected Works of Pat Lowther (NeWest Press). Kenward is the fourth D&M editor to win this title, which has been previously awarded to Nancy Flight, Barbara Pulling, and Saeko Usukawa.